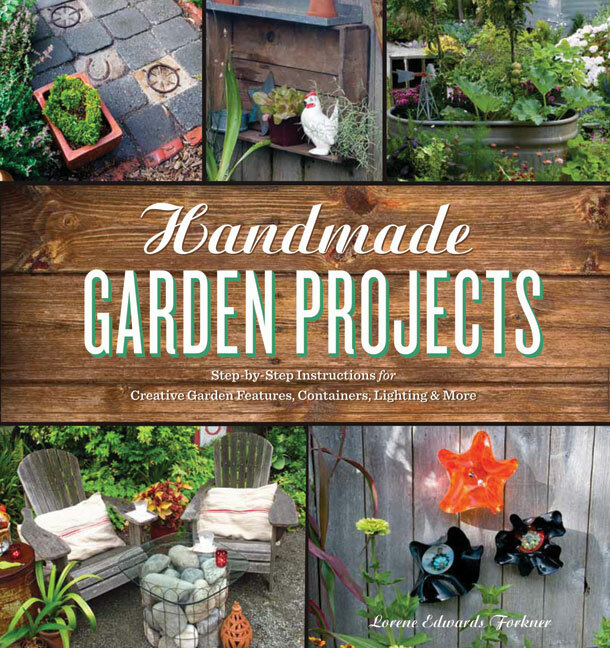 An Inspiration and DIY Recipe Book: Handmade Garden Projects – And a Giveaway! Some people are just born clever and handy. These are the people who don’t fear the sound of power tools or those long, scary aisles of bits and pieces in the hardware store. They have DIY in their DNA. Others of us need a little hand-holding, a kindly pep talk and a wee bit of a kick in the pants to convince us to put down the mail order catalogs and light a fire to get our creative juices flowing. 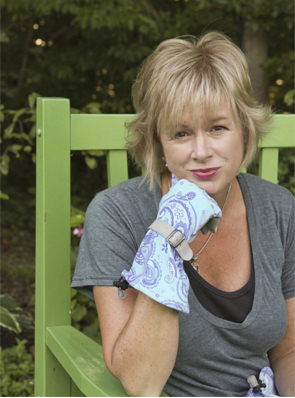 If you’re in the second category, there is no better garden DIY guru to get you started on a handmade life outdoors than Lorene Edwards Forkner, author of the newly released book Handmade Garden Projects. Lorene is one of these people who just bubbles with enthusiasm. This is a woman who doesn’t fear the color orange, who hauls an old Airstream trailer into her back yard to use as a grown-up playhouse and calls it her “canned ham” and who has turned some old bedsprings into an amazingly artistic rusted outdoor statement—in the front of her home! Several garden bloggers had the chance to visit Lorene’s garden last summer when she was putting the finishing touches on her book. 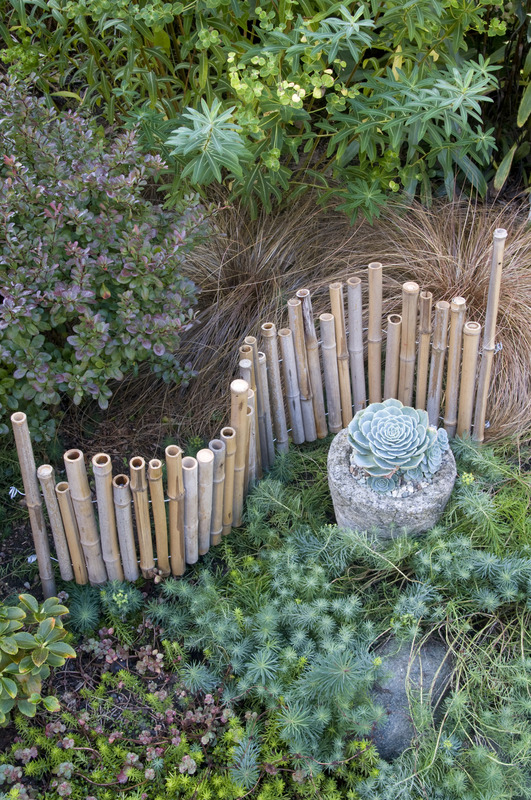 We saw first-hand the results of her craftiness in her own garden. Now the book is released and everyone can see a bit of Lorene’s garden—and some clever and easy ideas for a handmade life outdoors. 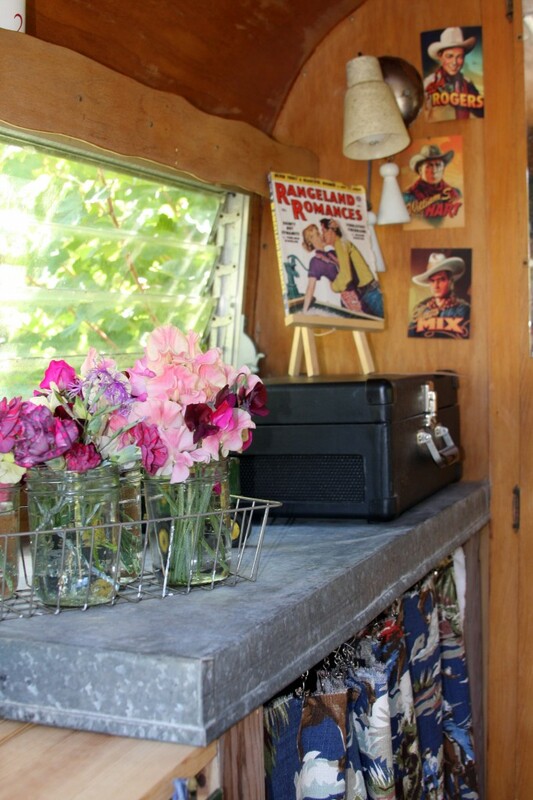 Lorene's Airstream - Her "canned ham"
Projects in Handmade Garden Projects include pathways, stepping stone and edging ideas, trellises and supports, decorative accents, containers and finishing touches. None of them appear very difficult and most can be accomplished in an afternoon or a weekend, depending on how many times you stop for beer. Interior detail of Lorene's grown-up playhouse "canned ham"
It’s a fun and useful book to set you on your path to a handmade life in the great outdoors. You can thank Lorene. 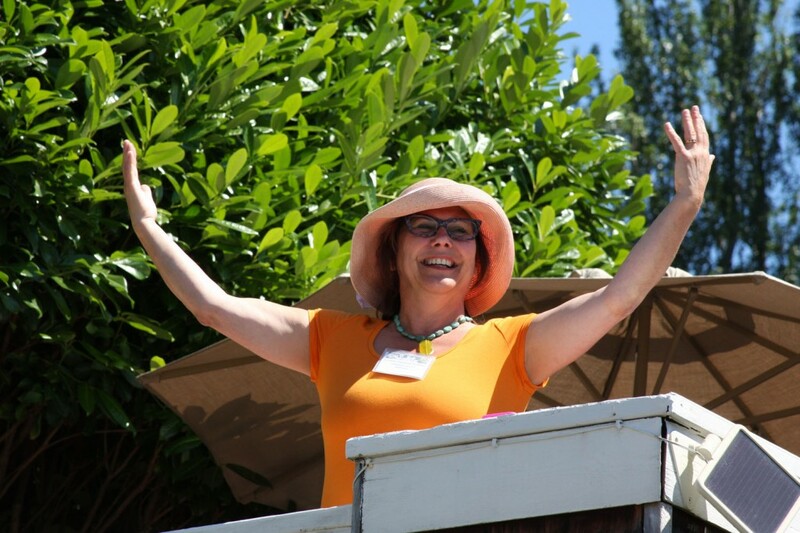 She’ll be the one wearing orange, having fun and reveling in her own clever handmade garden. Want to win this copy of the book? Leave me a comment by Wednesday, May 23, and I’ll select a winner through a random drawing! Want to see other blog posts about Lorene’s book on the virtual book tour? You can visit them here where there are more giveaways. 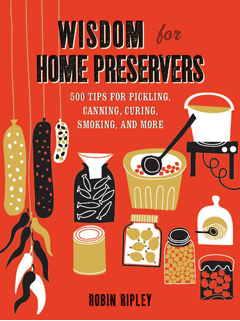 Timber Press, publisher of Handmade Garden Projects, provided a free copy of this book for review. Looks like a great book packed full of ideas. I am just starting to work on the outside of my house and need alot of inspiration! oh gosh I would love to win that book! I live in Australia – can you mail it here? Now that is my kind of book! I’m a junk repurposer at heart so can’t wait to get my hands on a copy. 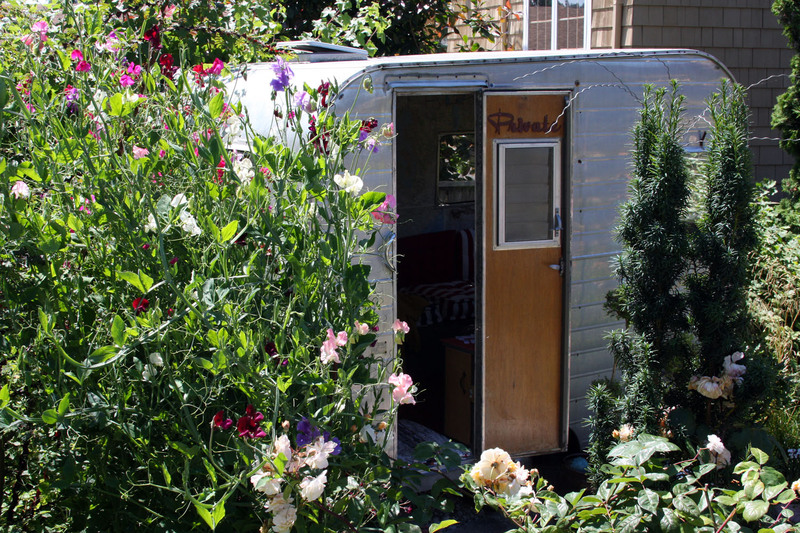 And that little trailer is delightful, I want one for my garden too please. (oh that’s right…it’s a book giveaway.) Thanks for hosting this. Good luck to all! I am just starting my gardening journey and need all the help I can get! Your blog is one of my inspirations. Thank you. Love the element of recycling while having fun in the garden. And the sweet peas in the glass(es) in the “canned ham” are just gorgeous! I live in a townhouse and have a very small patio/deck area. I’m constantly looking for ways to jazz it up. The book sounds like it would have lots of amazing ideas. Thanks. This book looks great. Such inspiration and very cool ideas! Thanks for the chance to win it. This looks like a great book of good ideas and how to for garden projects. I love the little trailer! I have one in my yard not be used for anything but storage. I need a playhouse! Thank-you for hosting this great giveaway. This book would be the perfect gift for my grandma. She’s just that kind of person that crafty and likes to make things herself. This book looks just delightful. What a cool looking book and blog. I’m always looking for new ideas to do neat things in the yard. You know I like DIY projects, but I also like a little pep talk. As one who can handle tools and hardware but lacks creativity, this book looks the goods. Would love this book- just the inspiration I need! So many ideas, inspiration, and garden bliss. Who wouldn’t want a copy of this book? Hope I win. I would love this book! I love to repurpose garage sale and flea market finds into items for the garden and potting shed. These look like fun projects. Thanks for a chance to win the book – I know I would enjoy it. Time making things outside together. But my other son is 8! This looks like an amazing book. It would be a fun thing to have this summer as my girls(14 and 9yrs)and I spend our first summer in Germany. We could make neat things for our own backyard garden. Thank you for the chance to win this book. 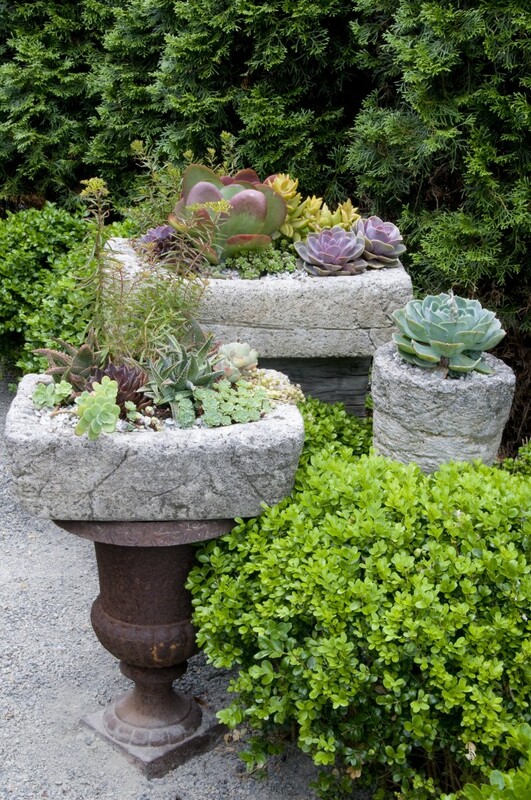 Love those stone containers, it’s something worth looking into. Lovely succulents too! Cute book. I could use a little more flair in my garden. Cute book. I could use a little garden flair. Oops sorry for double, ahem now triple, post. My green thumb is better then my texting thumb! I could use this inspiration! Fun book, and great blog! And that book! I remember seeing her garden from the last gardener’s get-to-gether! I was immensely inspired by her decorations! To now know she has a book about it?! I have even more excitement… whee! Love this book!! And loved have a chance to hang out with you in all those wonderful gardens in Asheville. Great blog, BB! This looks like a great book – I could see myself trying some of these projects. It would be great to win! I am fairly new to gardening and have been inspired by the beauty and ingenuity of gardeners. i love the ideas you’ve shown here! please enter my name for the drawing! This book looks amazing. Hope I win.